Happy Halloween from Team OmniSpear! 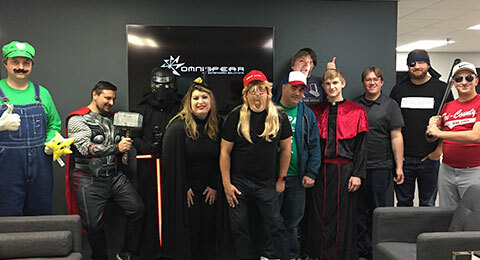 The OmniSpear office tradition continues as we all get dressed up to celebrate Halloween. From superheroes to super Mario our web team always comes up with a creative selection of costumes to celebrate the sweetest holiday of the year. Wishing you a great fall season, try not to eat too much candy and have a spooktacular good time!